On the first Saturday of each month we get together with friends for breakfast at Merle’s Restaurant in Littleton. (Thanks Jan & Vini for starting this tradition!) We usually sit with all of the gals on one end of the table & all of the guys on the other. I like this arrangement because while I love all of them I really want to talk to my girlfriends and it’s just so much easier than talking over and around the guys. Sitting at the girl’s end of the table last Saturday were Jan and Jan and Lynn and myself. (I actually have three girlfriends named Jan and one named Janice, but one Jan couldn’t make it and Janice lives in IL.) We were talking about all of the different jobs we have had in our lives. Some of us have had a lot of different jobs and some had jobs that were actually careers. Jan G worked in various roles beginning with helping in her father’s business while in High School and through college & early married years. She also worked at two Nazarene colleges when living in Oklahoma and later Kansas. She worked for her church and then began work with the Aurora Public School district before “retiring” from the school district after 25 years to take her current job at VRBO.com/Homeaway.com that allows her to work from home. In high school Jan R developed film & printed photos for her friends. After high school she worked for the Federal government with the Department of Defense, Army, Navy, Air Force, and FAA as a secretary. She left the federal government to work for the company that they bought the word processing equipment from and assisted sales with equipment demos & training for customers. She then moved to Dallas as a Customer Support trainer and developed training courses. After that she worked for a while as a technical writer in the telecommunications industry. While doing this job she also worked part-time for VRBO.com editing photos in 2003, and then in 2006 she began working full time for VRBO.com/Homeaway.com. 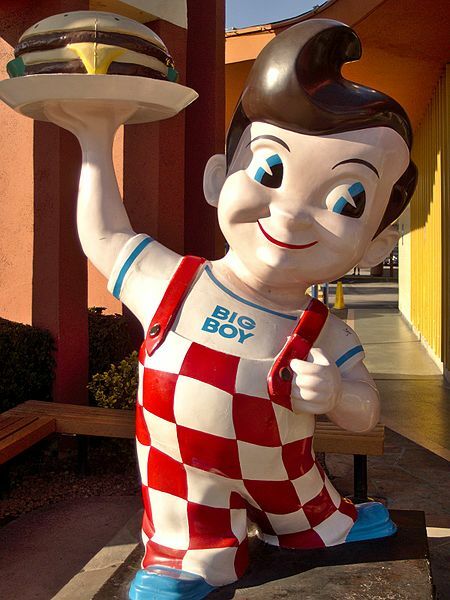 My first job was working as a waitress at Shoney’s Big Boy restaurant in College Park, MD after graduating from high school. This being my very first job, I took it very seriously, even going to the extreme of practicing the correct ordering sequence in my dreams. I loved the hot fudge cake that was one of this restaurant’s signature desserts. (The hot fudge was thick and gooey!) This job lasted through the summer after my senior year in high school until I left home to attend Liberty Baptist College (which eventually became Liberty University) in Lynchburg, VA. While in college I worked in the Dining Services area helping in the kitchen and dining hall. The day that Prince Charles wed Diana. I was happy that I was working in the patio that day because there was a TV at the bar and we could watch the wedding when we were not busy. The de-li-cious home fries they served at breakfast. I think they used the leftover baked potatoes from dinner the night before and cut them up into cubes, then fried them on the griddle with big chunks of red & green peppers and onions. Yum! I’ve measured every home fries I’ve eaten since then against these, and haven’t found any that taste as good as I remember the home fries served at the Sheraton. The sad day when my co-worker Connie received news that her college-aged son was found dead in Columbia, South America. She didn’t even know he had gone there! The death was drug-related, and she was devastated. Working at “So-Fro Fabrics” in Logan Valley Mall (Altoona, PA) which was fun. I was doing a lot of sewing at the time so probably spent more money than I made! In 1988 we moved from Altoona, PA to Winchester, VA. Shannon was in fourth grade and Brooks was in first grade. For the first six months I worked at another Mellon Bank branch as a teller, but I was not happy doing so because it meant I had to leave the house before Shannon & Brooks went to school and they returned home before I did. Even though their school was just one block away, we were new to the area and I didn’t have neighbors or friends to help supervise the kids. So after six months we decided to see if we could find something else that would fit our family better. That is when we interviewed for a position at Hunting Ridge Retreat, a 360 acre retreat center outside of Winchester owned by the First Baptist Church of Winchester. They were looking for a new “hostess” who would be responsible for planning & preparing all of the meals for the groups that rented the retreat center (mostly church youth groups) and also to prepare a Wednesday evening meal at the church itself for the members who wanted to eat there before the Wednesday evening programs. This hostess was also responsible for cleaning all of the facilities at the Retreat after each group left & preparing them for the next group to arrive. I think I got the job mainly because they were impressed with Redgie and his food service knowledge and experience. I was the actual employee, but running the retreat was a family affair! As part of my compensation, we got to live on the retreat grounds in the little house at no cost to us. Those were idyllic years, and I think they would be a good subject for another post, so I’ll save those details for later. We stayed at Hunting Ridge Retreat for 4.5 years until Redgie was transferred to Dallas, TX with his employer. The only job(s) I held while we lived in Dallas for 2.5 years was housecleaning for about 4 families. ‘Nuff said! For some un-remembered period of time I worked for a retailing company as (what I called myself) the “Candy-girl”. My job entailed driving around to five or six “King-Soopers” grocery stores around the area and maintaining the bulk-foods sections in those stores…..you know, all of the plastic bins are that hold stuff like trail mix and loose candy? I had to take inventory, order product, clean the bins and fill them up each time I visited the stores. I went to each store once a week. (Yes, once a week is how often those bins were cleaned.) I liked the flexibility of the schedule, and I especially liked the one long drive up into the mountains to the store in a small town called Bergen Park….the view of the Rocky Mountains was breathtaking! But after some time (probably about a year) I decided it was too much wear & tear on my vehicle so I ended my career as the “Candy-girl”. Worked for GapKids in the Park Meadows mall for about 4 years, mostly working one to two nights per week and on Saturday. I then worked at home for a company called “Alpine Access” which is a Customer Service Outsource Call Center. I was assigned to the “My Twin” account and I took calls from customers who wanted to order these custom-made dolls that resembled their children. I also worked for the Vermont Teddy Bear account for a few weeks before Valentine’s Day…..that was fun! And I got a free Vermont Teddy bear as a bonus! My most vivid memory of this job was the day that I was supposed to have my initial interview (by phone) was the morning of September 11, 2001. Our interview was canceled because of the terrible, tragic events of that day. On March 25, 2002 I began the best job I ever had…..working for VRBO.com. I learned so much about the vacation rental industry and developed my skills in communication and management throughout my tenure but I loved this job because of the culture and people with whom I worked (and the fact that we got to work from home!) I “bless the day” (inside joke) that Dave & Lynn hired me, and it truly has been a blessing in so many ways. In 2006 they sold the company to Homeaway, Inc, who then became our employer and I continued with the company until I retired as the U.S. Manager of Email Support in July 2013.Now I’m retired, but we’ll see how long that lasts! After 6 months of blissful leisure time, I think I’m ready to be more productive again! I’ve already decided to start my own “Listing/Reservation Management” service, putting into practice all of my experience with managing vacation rental properties that I’ve learned over the years of working at VRBO.com. We’ll see what the next adventure has in store!